NavPress Publishing Group, 9781631464003, 240pp. Have you ever found yourself at the beginning of a big life change? Maybe you're getting married, or divorced. Maybe you're having a child, or burying a parent. Maybe you've been promoted, or lost a job you loved. Maybe you've moved; maybe you feel stuck. These big changes hit us hard--it's easy to lose our way. It's easy to think that God is leaving us alone in them. The good news is that the God who spoke the world into existence, who lovingly brought into being everything seen and unseen, is speaking into your big change. Drawing from the story of creation in Genesis, Beginnings offers an empowering message of how God works through the transition in our lives. As God orchestrated the ultimate transition when he created everything from nothing, he can handle the overwhelming details in your life. Beginnings is for everyone who faces significant transition--in career, in relationships, in life stage, whether good or bad. 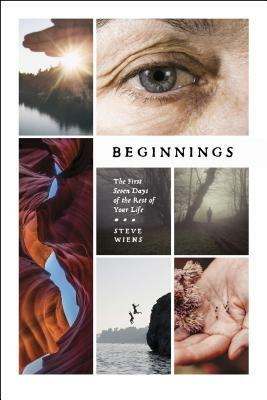 By exploring the first chapter in Genesis--day by day, creative act by creative act--Steve Wiens shows us how beginnings work, and how God works through our beginnings.